UGANDA – As a loving mother of six, Annette wanted nothing more than to see her little ones thrive. She and her children lived in poverty in Uganda, making them extremely vulnerable to hunger and sickness. When her twins were just one month old, little Rahima began showing signs of malnourishment. 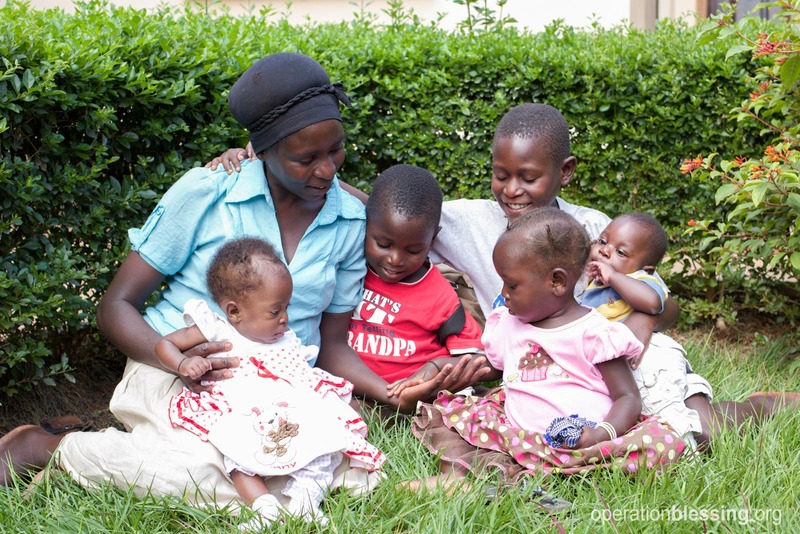 When Annette sought help, she was advised to give up her children to a local orphanage so they could be cared for. Heartbroken both at the thought of her babies suffering and the idea of giving them up when they were so loved, she approached the orphanage. Thankfully, the orphanage Annette went to referred her to OBI partner organization Abide Family Center, a local group that works to keep vulnerable families together. At Abide, little Rahima and her twin brother were immediately given formula filled with the nutrients they desperately needed. Annette’s other children were also provided with nutritious supplements, and Annette was enrolled in business classes and eventually given a small grant to start her own business. Thanks to Operation Blessing partners, struggling families like Annette’s, where children are at risk of being placed in orphanages due to lack of resources, are being provided the help they need to keep their children in their own loving home, including formula, nutritious supplements, healthy meals and more. Families without adequate housing are provided shelter while they get on their feet. Children too young to attend school are cared for at the Child Development Center while their parents attend skills training, business classes, parenting classes and more. Operation Blessing also helps these moms and children receive the health care they need, including medicine, a full time nurse on staff, and referrals to hospitals and clinics when necessary. Through the generosity of partners like you and this special partnership with Abide Family Center, families like Annette and her precious little ones are able to thrive as a family. Today, Annette runs her own small business selling fresh fish. She and her children are thriving, healthy and together.